A TEENAGE girl’s moving lament to her late school friend is to be played at a music festival in Chipping Sodbury this Saturday. Kieron Hackers was just 17 years old when he died in November 2017 from sarcoma cancer. Olivia Press, 18, who went to school with Kieron at Brimsham Green, has written a song especially for him. She wanted him to hear it, but he died before it was finished. Now the song, which has been recorded by Olivia, is to be broadcast during a special tribute to Kieron at Saturday’s Sodfest. 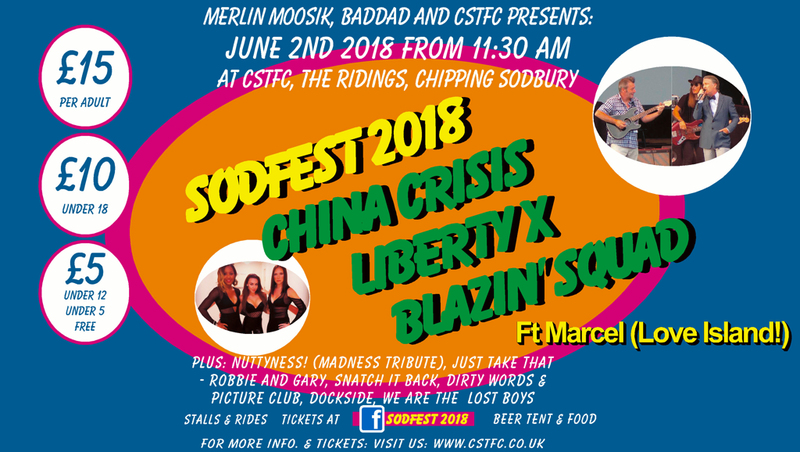 Set to take place on the Ridings, Sodfest is a one-day music festival, organised by Chipping Sodbury Town Football Club, as a community get together and club fundraiser. Diane Walters, who is helping with the event, said: “Kieron played for the club’s Under 18s squad. 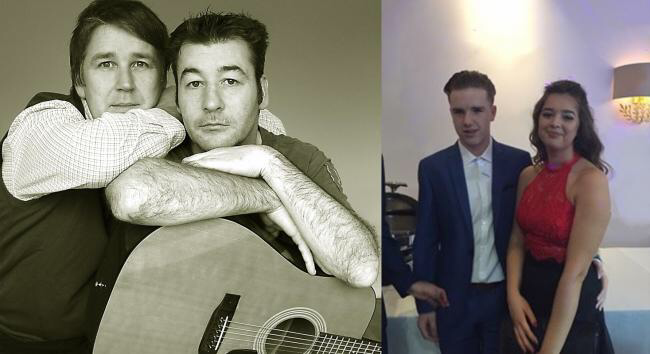 “Me and my husband Gary, who is CSTFC’s treasurer, will be going on stage to explain what Kieron means to the club, because there will be people there just for the music, who don’t know about him. Olivia’s song will be played out at 7pm, prior to performances from the evening’s headliners - 80s pop duo China Crisis, Popstars runners-up Liberty X, and British hip-hop group Blazin Squad, with Marcel (from Love Island). Talented bands from the area will also be playing at Sodfest, alongside Madness and Take That tribute bands - Nuttyness and Just Take That. Olivia said she feels truly humbled that her song for Kieron is being played at the event. “Do you remember when we where two feet tall, walking down to nursery? To hear the rest, come along to Sodfest on Saturday. It was quite a shock to see myself on the front of newspaper and to say it was quite overwhelming is an understatement. I would like to take a moment to say Thankyou for everything you have done for Kieron, to be remembered. I wrote this song as a method to deal with such loss, and anyone involved that went to the extent to have published my song and appear at festivals for everyone to remember him by, is truly an act of kindness, and the fact I have been apart of this journey of keeping Kiers with us is truly something I can’t appreciate more and thank enough.